In a historic move for the electric motorcycle racing, the AFM has approved Brammo's Empulse electric motorcycle line to race for points and championship standing in regular gas bike racing. On Tuesday, Brammo and the American Federation of Motorcyclists (AFM) announced an agreement allowing Brammo's electric motorcycles, the Empulse R, Empulse TTX and Empulse RR, to enter AFM's motorcycle racing series. This historic move marks the first time racers on electric motorcycles will be racing against gas bikes for points and championship standing in a racing series. The agreement covers not only Brammo's own team, Team ICON Brammo, but any owner of an Empulse R or TTX, and additionally owners of electric bikes made by other manufacturers will also be able to run in AFM racing. Qualification requires two steps: First the rider must be qualified for AFM racing. Second, the electric motorcycle must conform to technical regulations, and the team must follow certain safety practices in their pit area. The Empulse R and TTX bikes are pre-qualified on a technical basis, and the AFM has already determined those bikes can race in certain lightweight classes. The Empulse RR bikes are Brammo's non-production prototype platform, will only be raced by Team ICON Brammo, and the AFM has determined these bikes can race in certain middleweight classes. Electric motorcycles built by other manufacturers will be evaluated on a case-by-case basis to determine which class(es) the bike can race in, and whether the bike and team meets technical requirements. Interested racers should contact the AFM ahead of time to discuss technical requirements, class eligibility, and permission to run their bike. The AFM has adopted technical regulations from the TTXGP integrating them into AFM's own rulebook. The TTXGP electric motorcycle racing series has run since the summer of 2009, and their rules are based in part on FIM's own rules as well as TTXGP's experience in running a race series spanning three continents. The Brammo Empulse R is the company's flagship electric motorcycle. It has a 100+ miles/hr top speed, a 121 mile riding range (city), and looks that match any street bike. The company began deliveries a couple months ago. The Empulse TTX is a variant of the Empulse R that is outfitted to match the TTXGP technical requirements. According to a Brammo spokesperson the kits to convert an R into a TTX are not yet available. The Empulse RR is a top-of-the-line electric motorcycle which serves as Brammo's prototype platform. 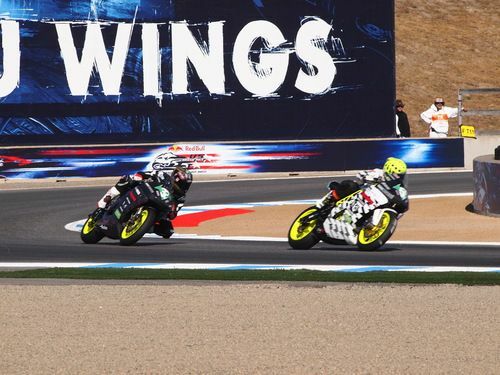 At the TTXGP 2012 World Championship race at Daytona International Raceway last fall, both Steve Atlas and Eric Bostrom were hitting 170 miles/hr speeds during race conditions. Earlier in the season the two were hitting laptimes that matched 600cc gas bike racers. In other words the Brammo bikes should do well in the AFM competition. The primary likely competitor to theirs are the 2013 Zero S and DS manufactured by Zero Motorcycles. The two companies are playing leapfrog with speed and range, and the 2013 Zero S specs to be not quite as fast at the top end as the Empulse R.